TUW works collaboratively with every student to help him or her develop and accomplish academic and life goals. All students are assigned an educational advisor upon enrolling at TUW who will assist the student while enrolled to ensure a successful and productive educational experience. In line with our student-centered model, advisors support a positive learning environment. As our online community continues to become stronger and more efficient, the TUW advising role has changed to meet the new demands and foster a collaborative relationship between advisor and student. 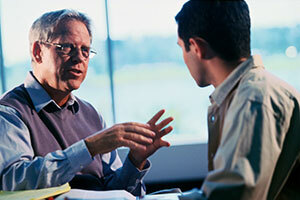 One way TUW has adjusted is by adding an academic coaching element to the advisor’s role. Advisors provide an academic coaching presence by monitoring student activity to identify learning trends. We believe regular check-ins build a sense of trust and accountability and will help students focus their strengths to reach their educational endeavors. It is important that students at TUW also have an enjoyable learning experience, and the advisor/success coach nurtures this objective. This blended role is a great addition to our strong network of supportive staff. Students are encouraged to meet with their educational advisor at least once a session to review and monitor their academic plan. Any change in scheduled courses should be discussed with an advisor to ensure that students are still on schedule to graduate in a timely manner. Provide educational advising for new, transfer, and continuing students. Review transcripts and credit transfers. Create individualized degree plans so students are aware of what and how many courses they would need to complete their degree or certificate program. Advise students on course recommendations to fulfill completion of program. Ensure students are staying on track towards their degree. Advise students considering a change in major and in need of assistance in determining new options. Maintain a positive support system for our students.